What makes a fire burn is the space between the logs, a breathing space. Too much of a good thing, too many logs packed in too tight can douse the flames almost as surely as a pail of water would. 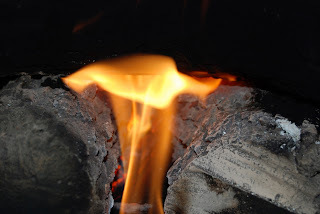 So building fires requires attention to the spaces in between, as much as to the wood….